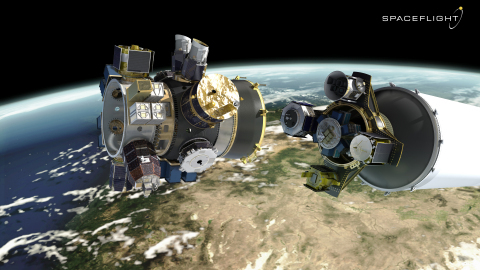 SEATTLE--(BUSINESS WIRE)--Spaceflight, the leading rideshare and mission management provider, announced details behind its SSO-A mission, the largest single rideshare mission from a US-based launch vehicle to date. 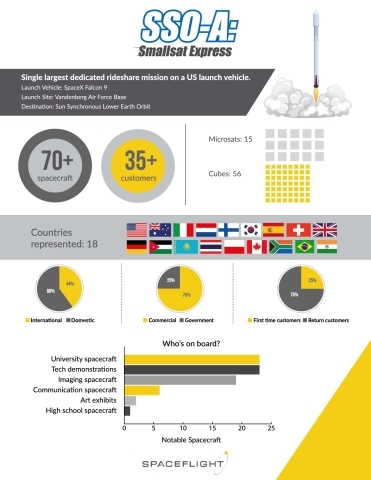 Spaceflight has contracted with more than 70 spacecraft from approximately 35 different organizations, to launch from a SpaceX Falcon 9 later this year. The mission, named SSO-A: SmallSat Express, represents the company’s purchase of an entire Falcon 9 to accommodate the growing number of domestic, international, government and commercial customers seeking affordable rideshare options to launch their spacecraft into orbit.